How do you feel about mimosas? I confess that while I love the idea of them (boozy brunches! day drinking! ), in reality, I'm rarely a fan. I usually find that they're WAY too sweet, never served cold enough, and made with the cheapest possible sparkling wine, making for inevitable headaches later on in the afternoon. I generally avoid them, but a few weeks ago, I was introduced to a spectacular twist on the classic mimosa that totally changed my mind forever about them. 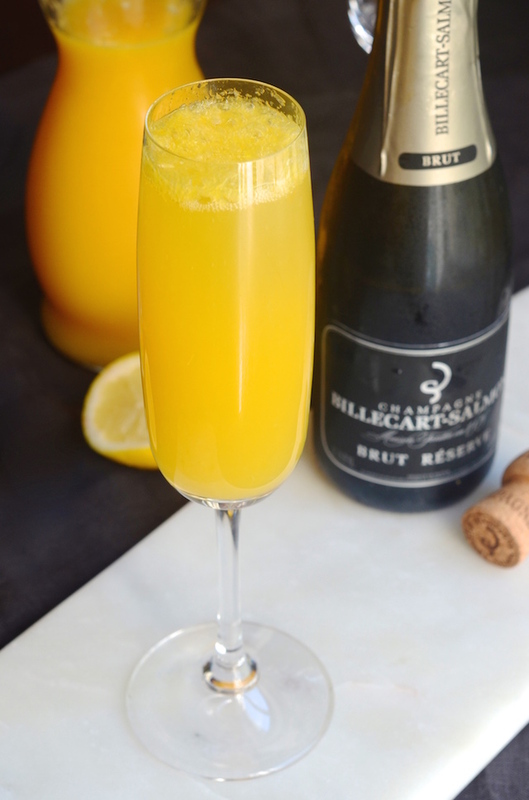 If you have felt the same in the past, you'll probably love these Orange Blossom Mimosas just as much as I do! Made with fresh orange and lemon juice, and a few drops of orange blossom water, they're a light and sophisticated take on a regular ol' mimosa. We were served something similar at a fancy jazz brunch I went to with friends a few weeks ago, and loved the tart, slightly floral flavor. 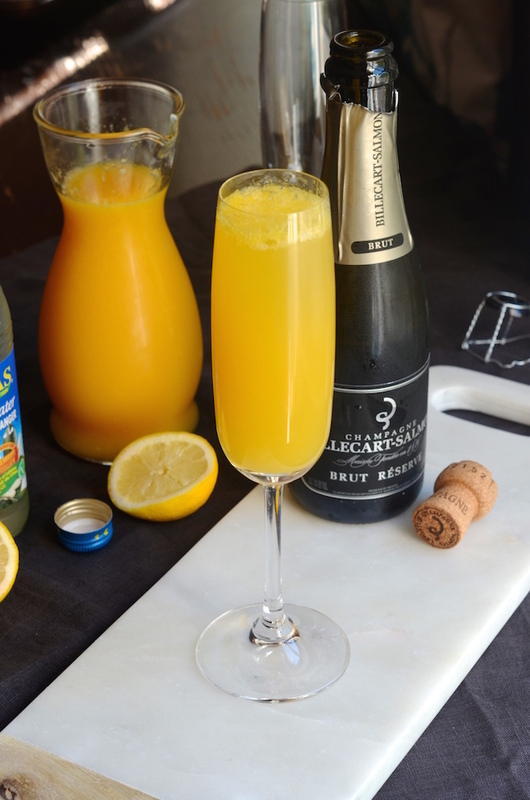 You want to pour heavy on the bubbles, so that the orange is really the accent--not the main event. Give these a try at your next brunch (or whatever!) party, and let me know what you think! 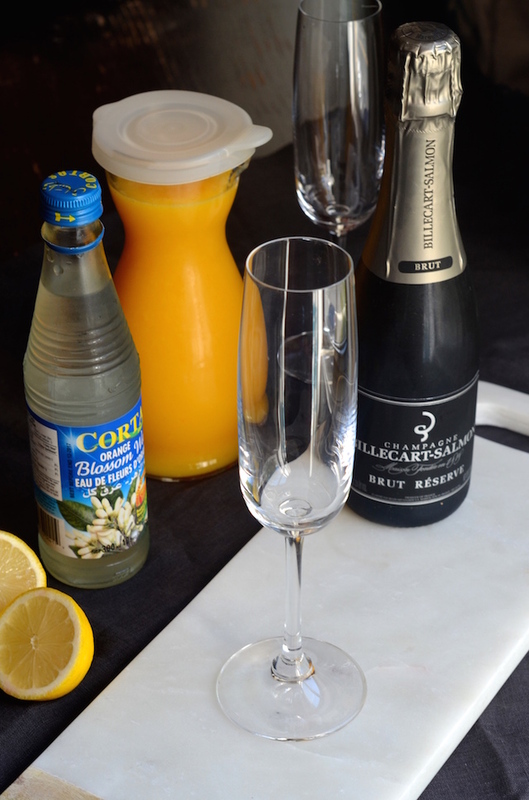 Combine the orange juice, lemon juice, and orange blossom water at the bottom of a champagne flute. Top with champagne until it reaches nearly the top of the glass. Serve immediately. Tip: if making these for a crowd, mix up a the juices and orange blossom water first and chill, then pour into individual glasses and top with champagne as necessary. Keep everything very cold and only open the champagne right before serving.